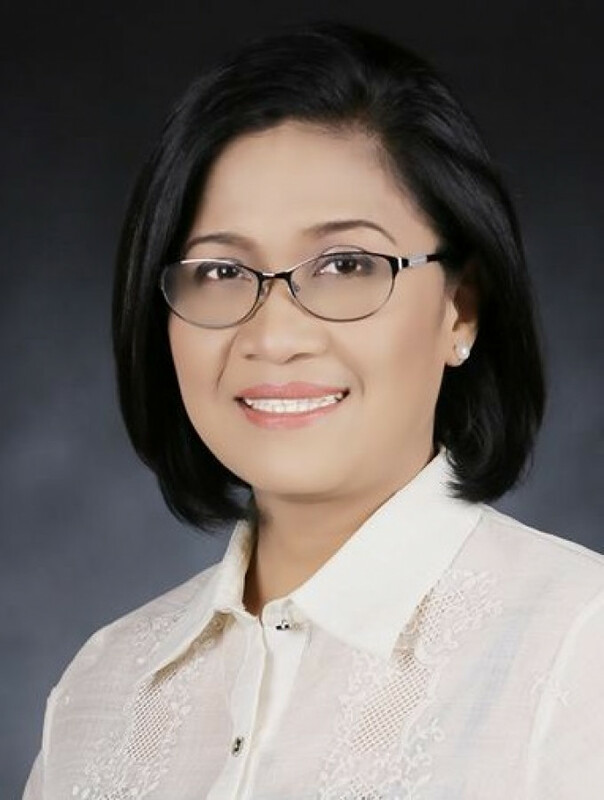 Dr. Shirley Castañeda Agrupis was born on July 25, 1964 in Aparri, Cagayan, the youngest of the nine children of Jose C. Castañeda and Marciana G. Disierto. She is married to Ador Agrupis, a retired Forest Engineer of Touken System Corporation, Japan. They have three children: Kristal An Agrupis, 30, a medical doctor at the Philippine General Hospital in Manila; Jofil Angelo, 28, a Master of Design graduate of the Hong Kong Polytechnic University, who now works as an Industrial Designer in Hong Kong; and Cheska Arla Agrupis, 24, a second year Bachelor of Laws student at San Beda College, Manila. She graduated Master of Science major in Plant Morpho-Anatomy and Physiology (1992) from the University of the Philippines at Los Baños , and Doctor of Philosophy in Agricultural Sciences from the United Graduate School of Agricultural Science, Gifu University, Shizuoka University Campus, Japan, in 2000. Her dissertation was titled, Studies on the Chemical Conversion of Waste Tobacco Stalks and Evaluation of Their Potential Application. Dr. Agrupis has participated in advanced research trainings and fellowships, including the prestigious Fulbright-Philippines Agriculture Scholarship Program (FPASP) in September 2011 to March 2012, and the USDA Norman E. Borlaug International Agricultural Science and Technology Fellowship Program, in October to December, 2009. In both programs, she was hosted by the Kansas State University Bio-processing and Industrial Value-Added Program, Bio-processing and Fermentation Laboratory in both programs. She was also a Short Term Visiting Researcher, Kobe University and Tohoku University, Japan (2000); Visiting Foreign Researcher, Shizuoka University, Japan (2003); and Visiting Associate Professor, Kyoto University, International Innovation Center, Japan, (2006). Prior to her appointment as Professor in MMSU, she worked with the Philippine Tobacco Research and Training Center (now the National Tobacco Administration), first as Research Assistant, and later, Science Research Specialist. When the NTA underwent reorganization, Dr. Agrupis availed of the early retirement offer while on scholarship in Japan for her PhD degree. After she finished her PhD, she was appointed as Assistant Professor in MMSU on July 1, 2000. She rose from the ranks to become Professor III, her current academic rank. In MMSU, she also held the following : Director for External Affairs and Partnerships (EAP), Director for Planning and External Affairs, and Project Leader of various research projects, many of which focus on bioethanol and renewable energy. The dynamic activities of the EAP with Dr. Agrupis as director made MMSU a magnet destination of DOST Balik Scientists and visiting Professors that led to the conceptualization of an S & T Park in the university. This also led to MMSU’s hosting of the 2013 Conference of Philippine American Academy for Science and Engineering, the first to be held outside Metro Manila. She also instituted the capability building of host faculty researchers and widened student exposure to new knowledge and advanced laboratory techniques through lectures and symposia. Some host faculty availed of the Fulbright Scholarship and Short term study grants to the US with the Visiting scientists serving as host in the US. Her efforts also helped increase the number of GIA-funded researches in MMSU, generating funding support from DOE, DOST, USAID TRIDE, DOST-PCIERRD, DOST-PCHRD, CHED and other agencies through joint research projects or assistance from visiting scientists and professors. On July 31, 2017, the MMSU Board of Regents elected Dr. Agrupis as 7th University President. She envisions MMSU to become a premier Philippine university when it turns 50 in 2028.